Want to stay in the know on Denver weekend happenings? Sign up for our free e-newsletter, and we'll keep you posted on upcoming events, new things to explore in Denver and more. Please fill out the form below to receive the Denver Weekender E-newsletter. 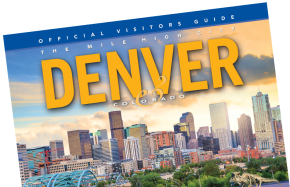 By submitting this form you are opting to receive promotional email communications from VISIT DENVER.